Module 1 in Design Build Risk Management -Lessons Learned. Kent Holland discusses the different roles and responsibilities of owners, contractors and design professionals in Design-Build as compared to Design-Bid-Build. Continuing Education Presentation by Kent Holland, Construction Risk, LLC. 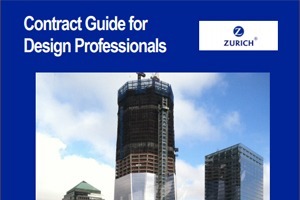 This video session of Design-Build Lessons Learned includes Lesson 6 – “Contract Language is Important: Ignore it at your own peril!” The focus is on contract terms and conditions, including notice requirements, claim requirements, indemnification, limitation of liability, liquidated damages, and change order approval requirements. This is module 6 of 8 of Design-Build Lesson Learned by Kent Holland, ConstructionRisk, LLC. It covers Lesson 8 – Owner’s Implied Warranty of the Bridging Documents; Lesson 9 – Design-Builder Must Seek Clarification of Ambiguous Specifications (patent and latent ambiguities); Lesson 10 – Acceptance of Design Changes Proposed by Design-Builder Does Not Make Owner Liable for Defects.